Cam Newton and the Carolina Panthers are undefeated at 8-0. In other words, Cam Newton is for real. He’s fit and he’s legit and he’s not about to quit. He’s got his game face on and, most importantly, he’s winning football games. Winning is a wonderful thing. Winning cures and covers; winning soothes and smoothes; and winning pacifies and mollifies. There’s nothing like winning. And as Cam said, 8-0 is 8-0. Nuff said. Winning seems to prove legacy and legitimacy, authority and authenticity; because everyone loves, or at least lauds, a winner. Winners just have to win, because, as has been said, “winning isn’t everything; it’s the only thing.” This is a well-known quotation in sports. It is attributed to UCLA Bruins football coach Henry Russell (“Red”) Sanders. The quotation is widely, but wrongly attributed to American football coach Vince Lombardi, who probably heard the phrase from UCLA coach Sanders. Lombardi is on record using the quotation as early as 1959 in his opening talk on the first day of the Packers’ training camp. The quotation captured the American public’s attention during Lombardi’s highly successful reign as coach of the Packers in the 1960s. Cam is a winner who is winning because he has the will to win. So it’s not hard to root for him as we watch his progression and admire his aggression. We admire those who win, and envy and emulate them and even try imitating them to a certain degree. Spiritually speaking, God is a winner. God doesn’t like to lose, so he put this in us. Where do you think we get it from? So, this trait is a trust that we must choose to use, for if you snooze, you lose. 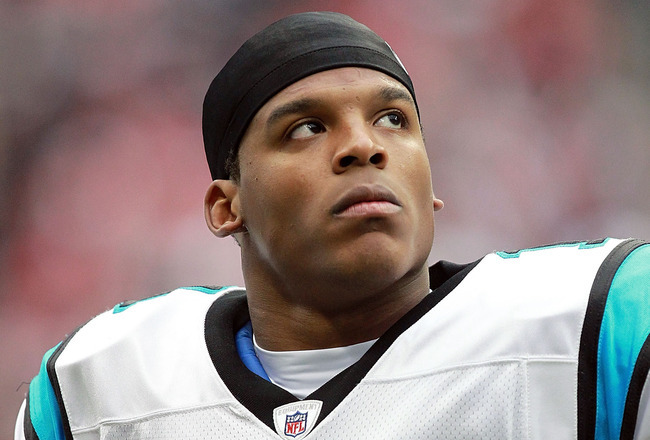 Is Cam Newton for real? Time will tell. For now, he and his team are 8-0, and on a collision course with Tom Brady and the New England Patriots or Andy Dalton (who’s he?) and the Cincinnati Bengals, also undefeated at 8-0. So at halftime and the halfway point of this 2015 season, it appears that Cam has come of age. He won a national championship in College at Auburn. Now let’s see if he can finish in the NFL as well as he’s started — this season and in college. Because, as we all know, it’s not how you start, it’s how you finish. < Previous What Happened To The Mets?